One election over, next election starts! As you now know, we didn't manage to get up in the Senate at the recent Federal election. Despite getting 160,000 votes nationally in the Senate and nearly 100,000 in the house in various seats, it was not enough. But there are other elections! While we have already begun working towards the 2018 state election in Victoria, there are also local elections coming up in October this year, and YOU could be the animals next representative in council! Interested in representing the Animal Justice Party in your local council? The Victorian local general elections are being held on 22 October and we’re looking for people who are interested in running to represent animals in their local communities. Local government provides services ranging from traditional town planning and waste management to community development, environmental protection, economic development and much more. Councillors that serve on local councils play a vital role in meeting the needs of local communities. Running on behalf of the Animal Justice Party will mean for the first time animal issues within your local community can be brought to the forefront. To run for local council you will need to live within your council and have a good understanding of the issues and needs of the local community. You will also need to prepare for the chance you may win! If you do it will be expected that you dedicate approximately two days per week to the role and the roles are paid. Shut down greyhound tracks, open up parks for dogs, implement no-kill shelters for companion animals, stop animal circuses and hatching programs, stop wildlife culling in your area. The issues that AJP can pursue at local government level are myriad. What are the ones relevant to your area? We will be formally calling for candidates shortly at which time we will provide you with details of the candidate selection process. Early on the morning of Wednesday 24th August, the greyhound Bill passed the NSW lower house with an overwhelming majority. As we celebrate the end of this vile industry, we are also thinking about all those greyhounds, possums, piglets, kittens and chickens that were needlessly and brutally killed. Thank you to MP Mark Pearson, who played a key role in making this victory possible. Please show him your support by following him at www.facebook.com/MarkPearsonMP. His immediate task now is to ensure that promises are kept and the orderly process of re-homing begins. 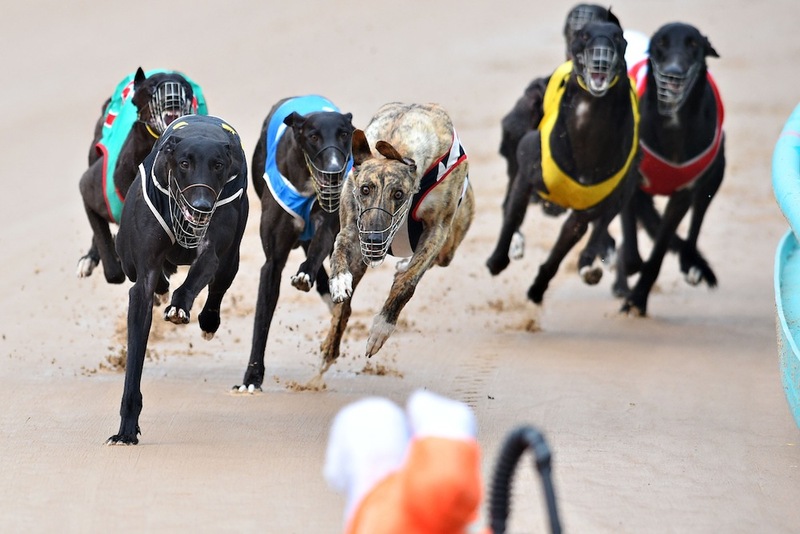 The Labor government in Victoria and the Racing Minister Martin Pakula have said that they will NOT ban greyhound racing here. Meanwhile, in Surf Coast Shire (south of Geelong), an application for a breeding permit has been unanimously rejected by the council. Congratulations to our Regional Group Leader, Andy Meddick, who led a campaign against it. Read about ithere. A reminder that on Saturday September 23 the second AJP National Conference will be held in our Pitt St Headquarters in Sydney. You can read all about it, and how to prepare a paper or register here. We had a great time talking to new volunteers at morning tea on the 20th of this month. We now have over a dozen new volunteers that we are plugging in to the ongoing work, and this all bodes well for the party to get stronger and better. Thanks to all who came for your attendance and enthusiasm. There is the National Conference next month in Sydney (see above). The next members' meeting is Thursday the 27th of October, on our new quarterly schedule. The next Volunteers Info session is Saturday November 9 at 10am at Ross House. Your local regional group meeting will depend on your region. Some are more active than others. As the weather warms up, we will also see more activity with stalls and other outreach activities. If your membership is expiring you will receive an email from membership@ajpvic.org.au. Look out for it in your inbox (or junk mail folder! ).